This is the facial exercise and toning system that works! In today’s anti-aging battle, increasing numbers of women are not only performing daily exercise for their bodies but are recognizing the need to improve facial muscle tone. The Facial Flex uses the principle of dynamic resistance to strengthen the muscles of the face chin and neck with amazing results. This we can say can produce the Non Surgical Face lift without going under the knife or doing injectable fillers! 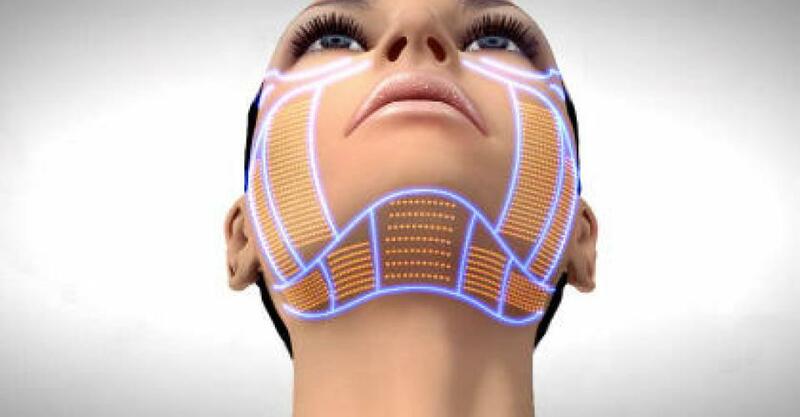 Lasting Looks Clinic in Toronto has many happy clients who have purchased the Facial Flex Machine ! But what good is tightening the skin when the muscles attached have fallen and drooped. Introducing Ultherapy, a technological advancement in the non-surgical face-lifting department! This is the only technology that lifts the tissue that is addressed in surgery. No other device can tighten the muscles of the face while tightening the skin as well. Many patients may be on the fence about what procedure to have when it comes to sagging facial tissue. Ultherapy is a non- invasive procedure done with ultrasound. There is a tremendous difference when the scalpel is used on the tissues as well as the pulling. The ultherapy non-surgical facelift is done with gentle ultrasound waves. Of course there will be a more dramatic difference with the traditional face-lift where as Ultherapy will have a more subtle completely natural look. So it really depends on the difference and how dramatic you want your change to be. It is not uncommon to repeat the procedure 3 months post with Ultherapy if more tightening is required. Patients that are candidates for this procedure are usually 20 to 65 years of age with mild or moderate laxity. Ultherapy is not just another Skin Tightening device. It’s an amazing breakthrough. 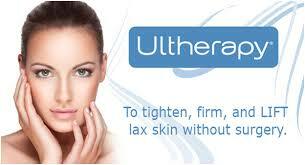 Ultherapy not only tightens the skin but lifts the muscle as well. It precisely targets the deep support structures of the face, typically addressed in cosmetic surgery without incisions. While there is some mild discomfort with the procedure, Lasting Looks Clinic in Toronto uses the latest protocol and newest technology from Ultherapy for optimum results. The software has been upgraded in the last year. It is called the New Amplify 800 Treatment for face and neck which delivers less energy and more pulses. The patient feels much more comfortable without decreasing any benefits at the same time. Myth #2 The results of Ultherapy don’t last very long, and the treatment must be repeated. would have had you not had the procedure due to the creation of new collagen. Myth #3 Anyone can perform this procedure, and the results are the same. performing the treatment, not just the treatment itself. At Lasting Looks Clinic we do not use a cookie- cutter approach and give everyone the same exact treatment. We do no treat any two faces the same, since they are not. We take into consideration the physical age of the patient as well as the unique laxity of certain areas that may require more extensive treatment in the area. Myth #4 I should shop around for the best possible price. results can vary based upon how your personal face is evaluated. Myth #5 Ultherapy can replace a surgical facelift. 1) Someone who does not “need” a facelift yet. Ultherapy works differently than conventional lasers that target the outer layers on the skin. Ultherapy bypasses the surface of the skin and delivers energy to the deepest layers of the skin. In a nutshell, it causes damage to the collagen layers of the skin and this in turn regulates new collagen. The procedure uses Ultrasound technology and not Radio Frequency. Ultherapy uses micro-focused ultrasound technology to identify and treat the deeper layers of skin without compromising superficial tissue. It is the only non-invasive procedure approved by the FDA for both tightening and lifting the muscles and skin of the neck, under the chin, sides of face and eyebrows. Results take some time as collagen is being generated. Ultherapy reviews report a higher satisfaction than any other technology in its category. If it is only skin tightening you are looking for then yes most laser treatments will affect the top layer of skin causing an improvement in facial lines and wrinkles, and an immediate contraction of collagen as the damaged top layer of skin is removed but non deliver the patented technology that Ultherapy offers that goes down as far as the muscle. Ultherapy is a treatment of choice because you are getting the added benefit of skin tightening as well as muscle lifting. 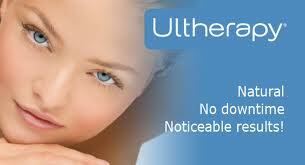 For more information on Ultherapy visit Lasting Looks Clinic in Toronto.